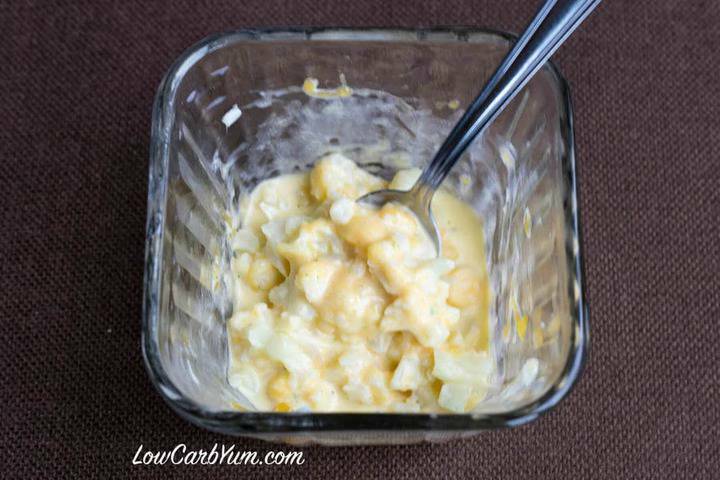 An instant low carb cauliflower mac and cheese recipe that is ready in less than 5 minutes. 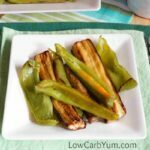 This quick keto meal only requires 3 ingredients! 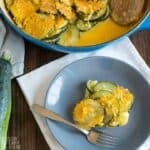 Are you cooking for one and hate making an entire casserole that takes you all week to finish? Lately, that’s been the case for me with certain dishes. My husband and older daughter refuse to eat cauliflower. So if my son isn’t around, a big cheesy cauliflower casserole will take me up to a week to finish. My youngest daughter just nibbles bites here and there so she never eats a full serving. 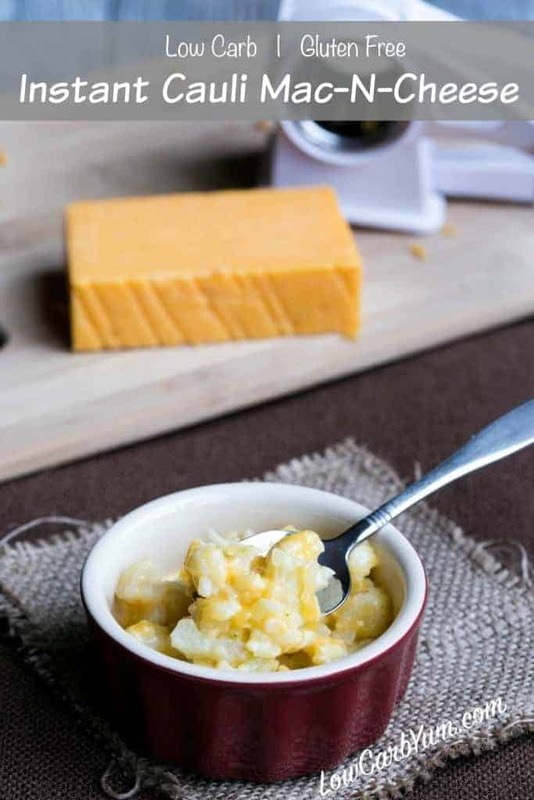 I’ve just started getting into the minute mug cakes so I decided to venture out a bit with this instant cauliflower mac and cheese recipe. You can easily make this cheesy dish in less than 5 minutes. And, it only requires 3 ingredients that you probably already have. I hope my son is reading this one because it’s a great recipe for college kids doing their own cooking. It’s so much healthier than the processed packaged instant foods, too! I remember when I was living in an apartment near the University of Florida, I ate a lot of horrible convenient foods. I like to use frozen florets in the instant cauliflower mac and cheese for convenience. But you can certainly use some fresh ones if you have it. It’s just easier to grab a handful of florets out of a bag for this recipe. 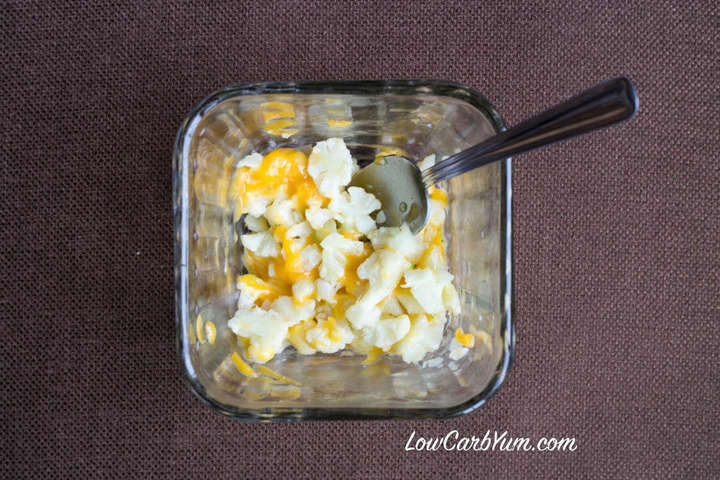 You could also use pre-shredded cheese, but I prefer to freshly grate mine from a block of cheese so that no high carb fillers are added. I have an inexpensive rotary cheese grater that I use for grating small amounts of cheese. 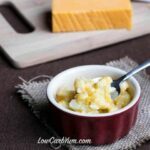 It was perfect for this quick cauliflower mac-n-cheese for one! 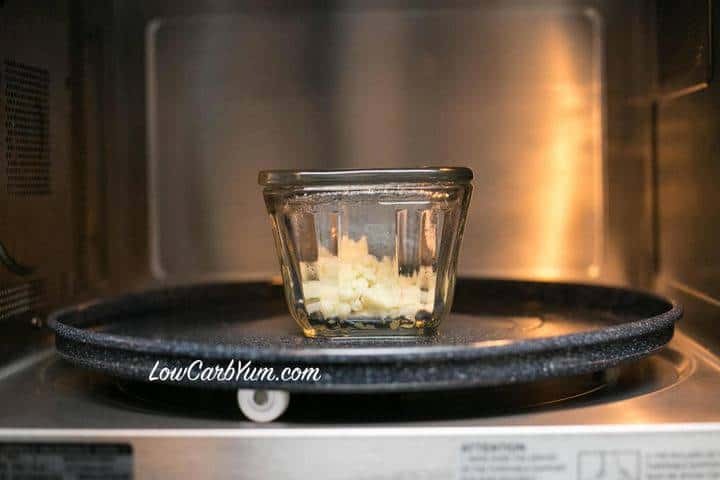 I microwave the cauliflower in two steps. The first one is just to soften it from the frozen state so I can chop it up. Then, I put it back into the microwave to cook and add the cheese in the last ten seconds. Ten seconds is just long enough to melt up the cheese in my microwave. Then, I stir the cheese to melt it a bit more before stirring in a little bit of heavy cream. 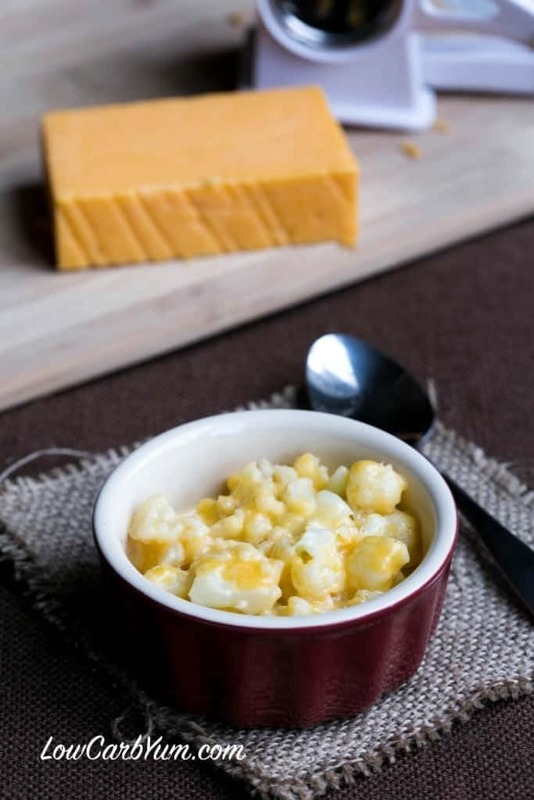 That’s all there is to making this instant cauliflower mac and cheese. I tried making this with coconut milk. But it’s a lot creamier if you use heavy cream instead and it doesn’t add much more to the carb count. 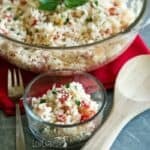 You can easily double or triple this recipe if you want a larger serving or cooking for more than one person. There isn’t much out there for healthy instant convenience foods. 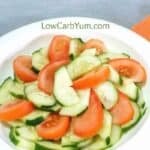 So I’m hoping to come up with a few more of these “instant” low carb recipes. 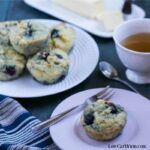 I need to experiment more with the muffin in a minute recipes. 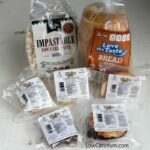 It would be great to have more low carb bread options, especially for breakfast sandwiches. 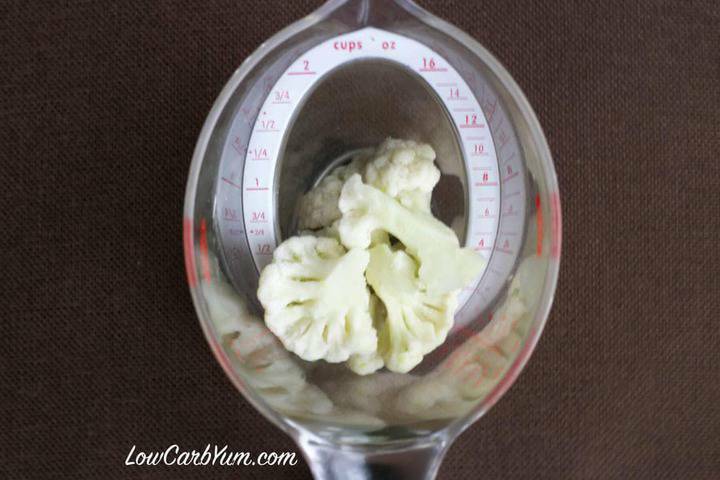 Do you love finding new ways to enjoy low carb cauliflower? 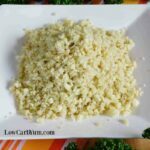 There’s a terrific collection of 33 Low Carb and Gluten Free Cauliflower Recipes at All Natural Ideas that I put together recently. If you’d like to make more than one serving, just adjust the amounts accordingly. 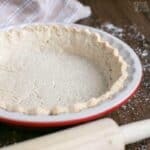 You may need to up the cooking time a little when using larger amounts, though. 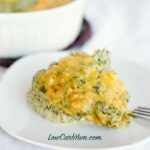 Although this instant low carb cauliflower dish is a wonderful side dish, you can also enjoy it as a healthy snack in between meals. I’m usually really hungry when I get home from work. This quick recipe will be the perfect snack to tie me over until dinner. 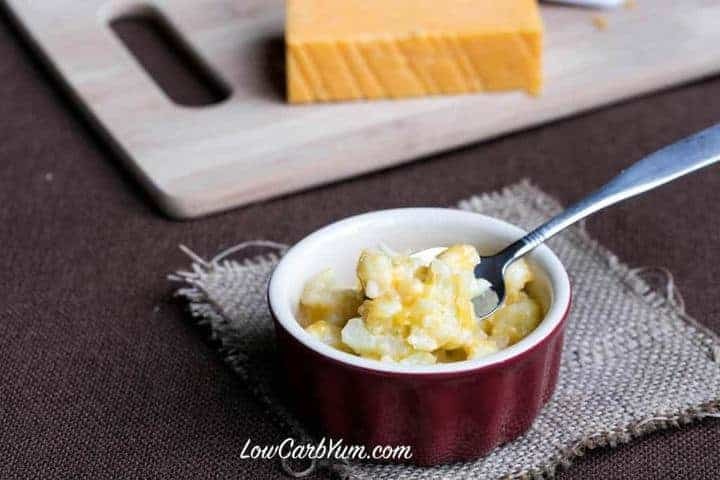 An instant low carb mac and cheese recipe that is ready in less than 5 minutes. 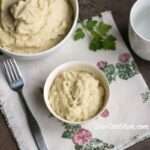 This quick keto meal only requires 3 ingredients! In small microwavable dish with lid, microwave cauliflower covered for about a minute. 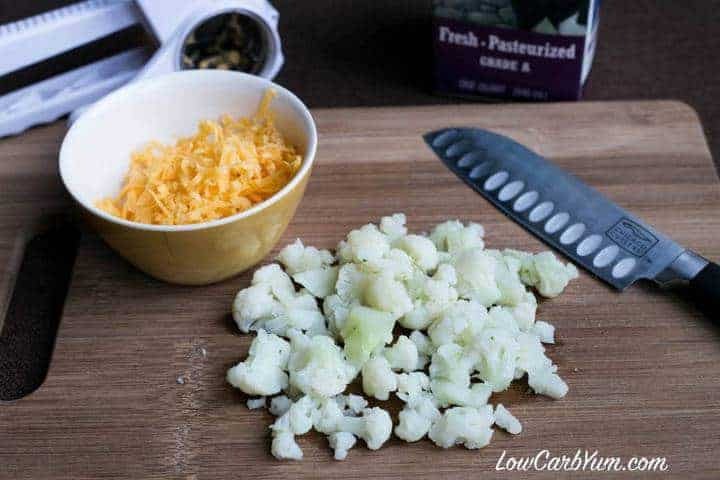 Remove from microwave and chop cauliflower into small pieces. Microwave for another 50 seconds or so, then add shredded cheese. Microwave for another 10 seconds or so. Stir melted cheese in, then stir in heavy cream until sauce forms.